Spark is already on-boarding customers for its long-range Internet of Things (IoT) network, which is due to launch later this month. The first customer on the telco giant's network is Levno, which will offer a rural fuel tank monitoring service. Levno's system consists of a battery-powered sensor attached to the fuel tank reporting changes in volume, with this information getting sent, via the cloud, to the customer’s device. When fuel levels get low, the fuel distributor is notified that a delivery is needed. As part of Levno's agreement with Spark, the IoT network is being extended to service customers in Manawatu, Canterbury and Waikato. As reported by Reseller News, Spark and Vodafone last year announced plans to join early mover KotahiNet in offering IoT network services. Levno expects to cut operating costs by using the new infrastructure as well as boosting device battery life. Spark general manager of IoT solutions, Michael Stribling, said that last year, when the telco announced plans to build two IoT networks, the potential soon became evident. “We know that for many, this is the technology they need to take their business to the next level - whether it’s by keeping better track of their resources, moving off cellular technology to lower their infrastructure costs, or testing the new IoT product they've been developing," he said. 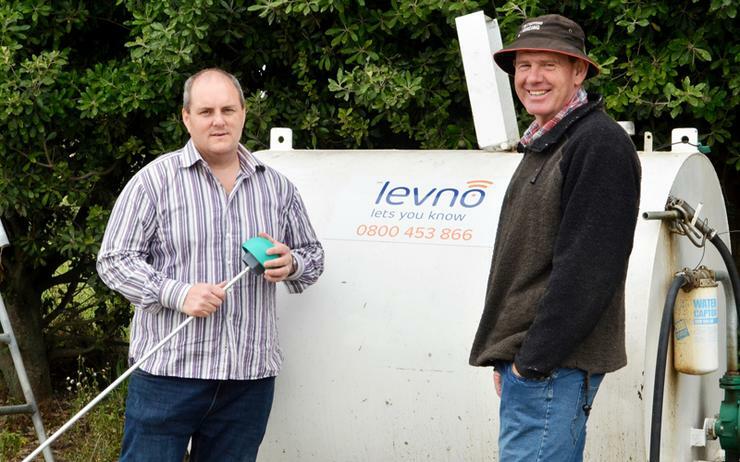 Levno CEO Ray Connor said that when the company created the monitoring system in 2012, a suitable low power network wasn’t available in New Zealand so the business used cellular networks instead. These are designed for higher power, higher data uses and so were not ideal. Going forward, Levno will now be using Spark's long range wide area network (LoRaWAN) made for wireless battery operated "things". “LoRaWAN lowers the cost of infrastructure for us," Connor said. "This is great for our business, but also for our customers because it means we can focus more resource on the stuff that directly impacts them - like building great user experience through our dashboard. With sensors connected to a low-powered network, Connor expects batteries to last twice as long - up to ten years instead of the five years they currently run for. The new network also enables Levno to extend its service into areas not currently reachable using cellular technology. Rangitikei farmer James Griffin will be one of the first customers to use the service, from April. Griffin has two diesel tanks and two petrol tanks servicing three tractors, a truck and ten motorbikes, with some of the fuel tanks as far as 3.5km from the farm house. The system provides three main benefits: stopping fuel theft, managing fuel allocation and stock reconciliation. "The way we have it set up is that when there are any deliveries or removals from the tank, I have emails sent to me—particularly with removals," Griffin said. "I have a text set up as well. "We were constantly running out of fuel a few years ago. Now we can adapt to and monitor seasonal use better, and when we do need more, the system sends a message to Allied Petroleum and they come by with a delivery."